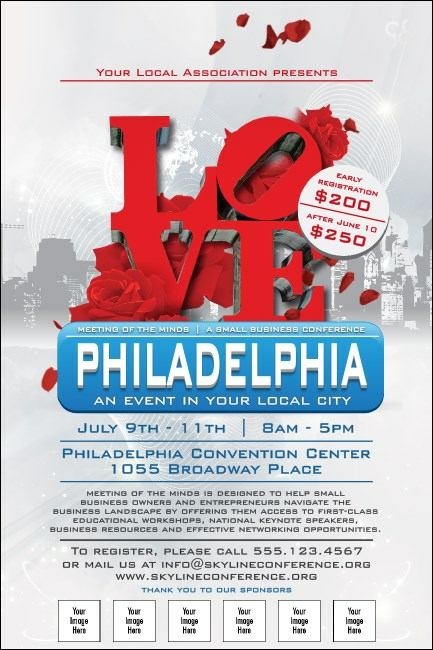 Get your cheesesteak to-go with a side of great advertising when you print Philadelphia Rose Posters in advance for you next event in Philly. Each city-themed Poster gives you room to upload six unique images on a background that features a brilliant shot of the famous red sign from Love Park. TicketPrinting.com helps you spread the LOVE!